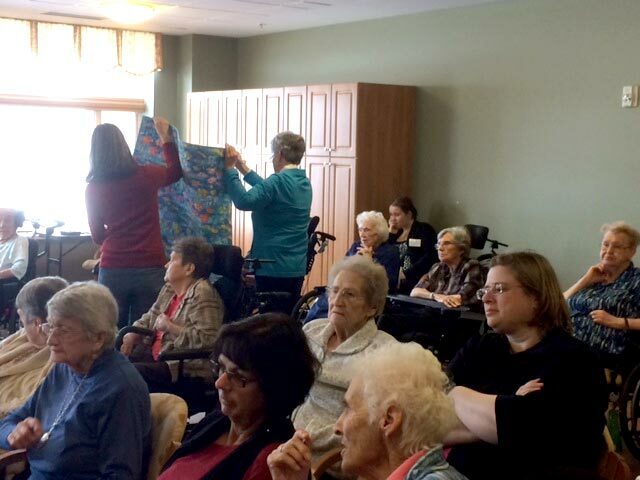 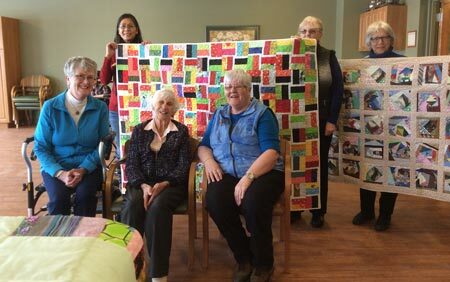 Some ladies from the guild comfort Quilts ....organized by Jess & Marilyn went to the Trent Valley Lodge Nursing Home in Trenton and put on a quilt show for the residents. 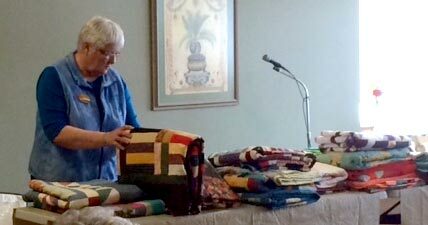 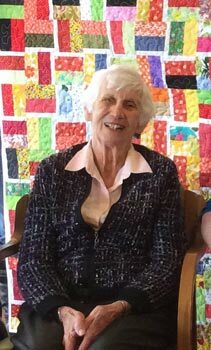 The lady in the picture with the quilters is Helen Ireland one of our founding members and the first president of our guild. 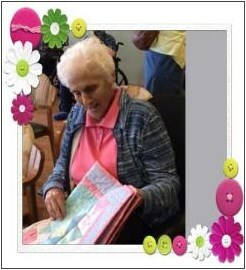 We also supply approximately 200 placemats every year to Meals on Wheels at Christmas time. 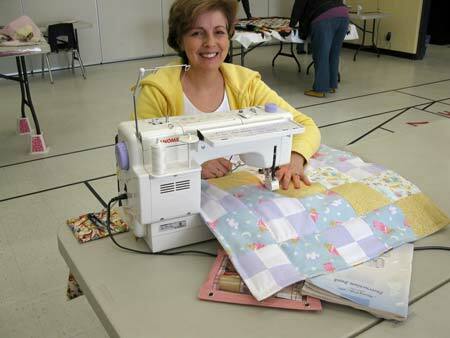 Preemie Program started during the 2009/2010 guild year, supplying the Kingston General Hospital. Peterborough Regional Health Centre was added to the program, January 2013. 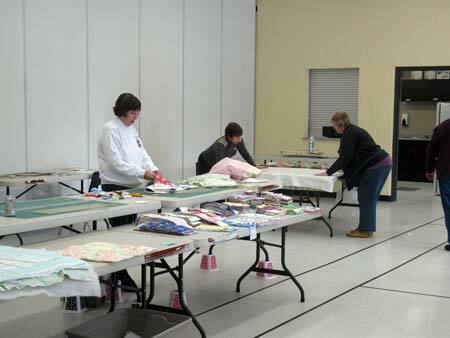 Over 800 babies pass through the NIC Units of these hospitals each year. 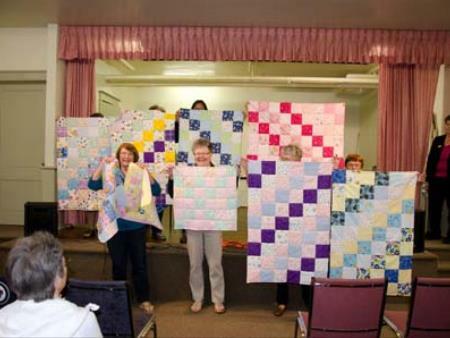 2013/2014 Guild year the following have been given. 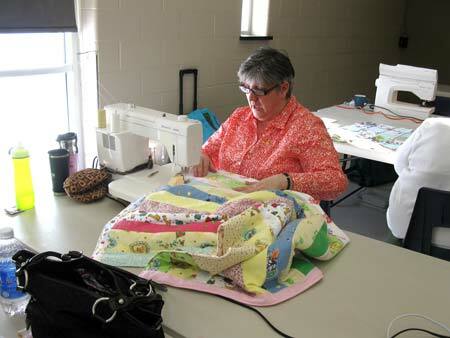 Both hospitals appreciate the colorful items which brighten the NIC units, for a "homely feel".